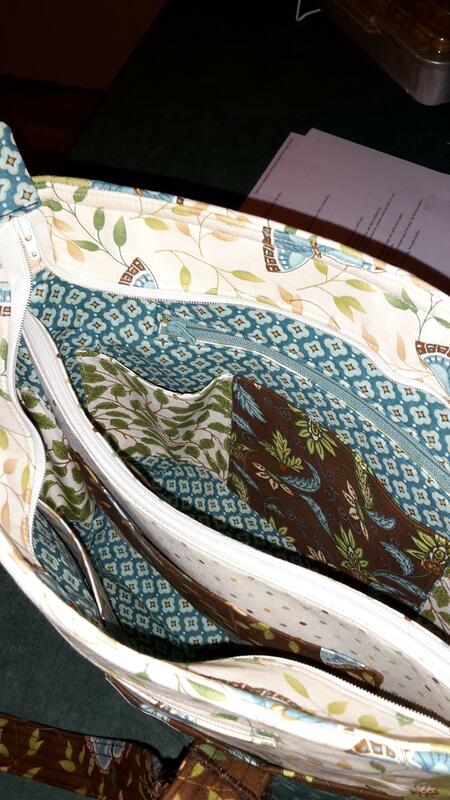 A delightful Professional Tote from Julie James. I love those bees! Combination is wonderful. 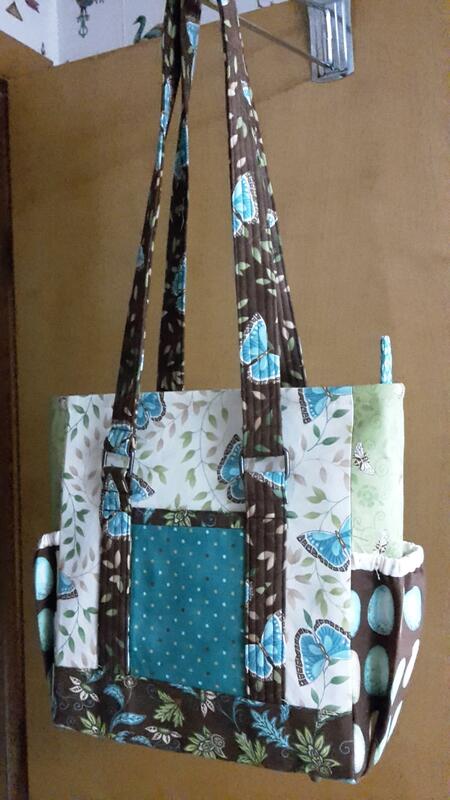 I am also making this tote. So far so good. But I’ve hit a stumbling block. Not sure if this is the venue to solve my dilemma. But here goes. On page 11 I’m having troubling understanding 9e. Can you provide any tips? I’ll forward this on to Laura and she’ll email you with some specifics. Definitely send us photos when you finish! Sorry, I just saw this, Sandi. Hopefully you got past the block and your tote is finished! I just love making these. Once you make one, you’re hooked and can’t wait to make more of them. So many options for colors and fabrics to make each one unique. I am also stumped on how to decipher 9E on the Professional tote. Do you have a tutorial /class on this pattern? Here are some different words that hopefully will help. I will also send you some more detail directions to your email address. First, start on one side of the tote and pull the side edges of piece #7 over to meet the side edges of the zipper sections #8. Then you have to pull down (at a diagonal) the same #7 piece so it is even with the bottom edge of Piece #8. The 2 dots you placed on the back of piece #7 should be together at the bottom edge. 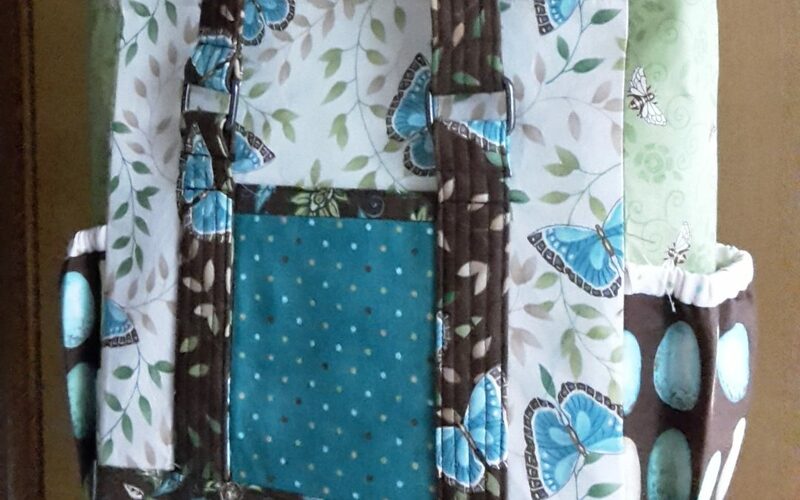 Do this with both the front and back sections, pin in place and sew the side seams as stated. 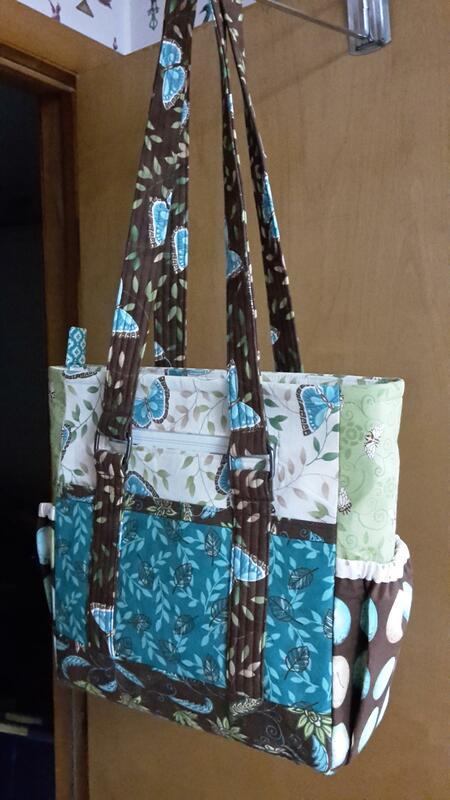 The diagram below 9f shows what the tote will look like after sewing the side seams.